This O-flute bit has a cutting diameter of 1/4", cutting height of 3/8", overall length 2" and 1/4" shank. This bit is specifically designed for milling aluminum. 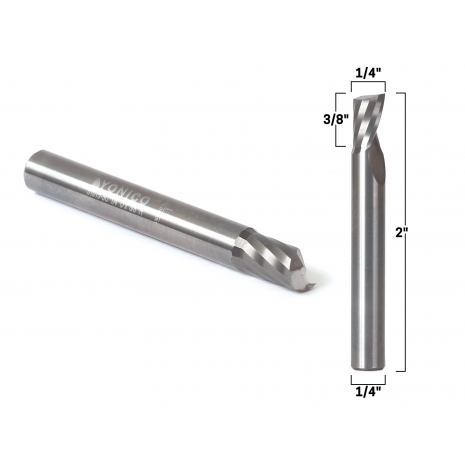 O flute end mills allow for lots of chip clearance which is essential when milling aluminum. Aluminum creates larger chips than most other materials and bits such as O-flute end mills are recommended for proper chip removal.